Here is the schedule of events for the National Finals Rodeo on Friday, December 14. — 8 a.m.: 32nd Annual Spurs & Spikes Golf Tournament. Bali Hai Golf Club, 5160 S. Las Vegas Boulevard. 8 a.m. registration and breakfast. 9 a.m. shotgun start. Awards luncheon following tournament. To purchase a team, call 719-528-4732. — 9 a.m.: World of Rodeo Reunion, Gold Card Gathering. The Orleans Hotel & Casino, Mardi Gras Ballroom. Registration from 9 – 10 a.m.; Visitation at 10 a.m.; Luncheon at noon, followed by Live Auction. 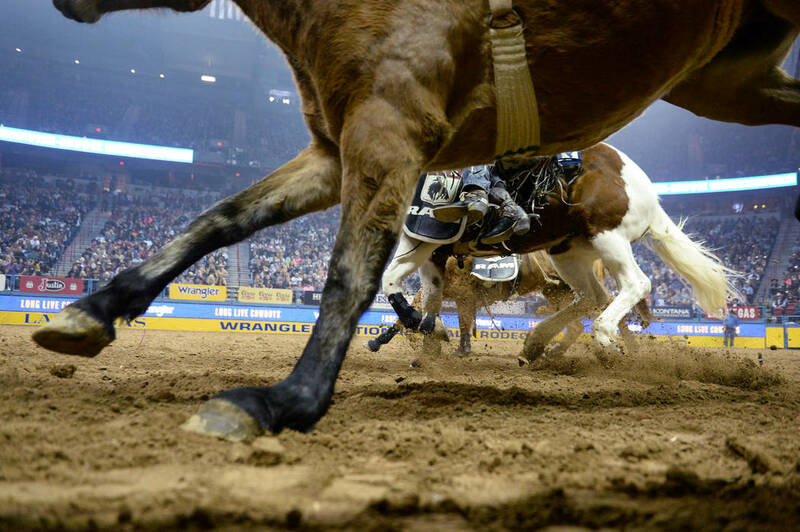 — 9 a.m.: All In Barrel Race, Race 3 Qualifying Round 1, Orleans Arena. Free admission, open to the public. For more information, visit www.LVBarrelRace.com. — Noon-2 p.m.: Wrangler NFR Autograph Session, Saddle Bronc Riders. Harrah’s, Toby Keith’s I Love This Bar & Grill. Free admission, open to the public. First come, first served; contestants depart at 2 p.m.